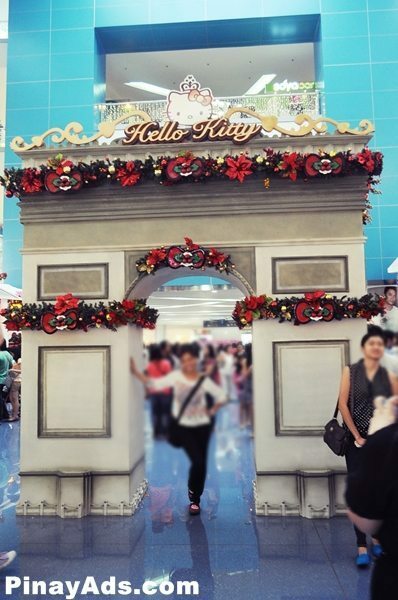 Hello Kitty Christmas At SM City North Edsa! 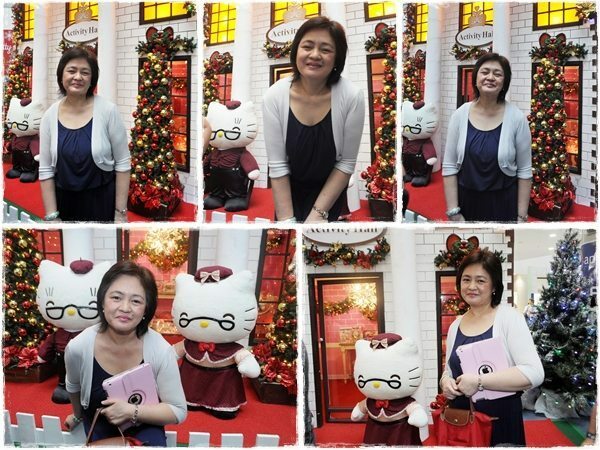 Last November 10, I was invited to the Hello Kitty Christmas Launch at SM City North EDSA. However, I wasn’t able to attend because our flight from Hong Kong to Clark was delayed. But since my mom and I do love Hello Kitty, we just decided to go there the following week, November 18. So what’s there to see in the Hello Kitty Village? 1. 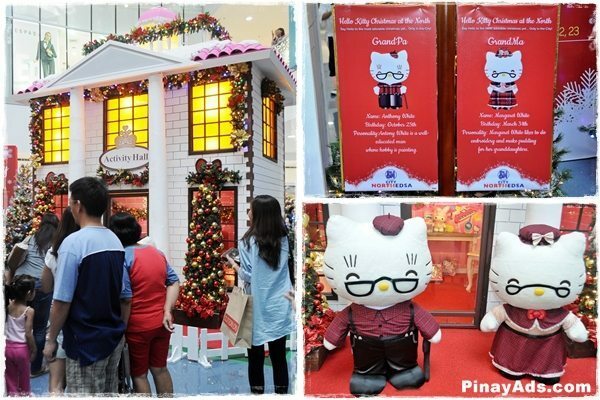 Hello Kitty House/Main Hall– Visit the White’s residence and be amazed to see all Hello Kitty’s exquisite furniture and decos here. 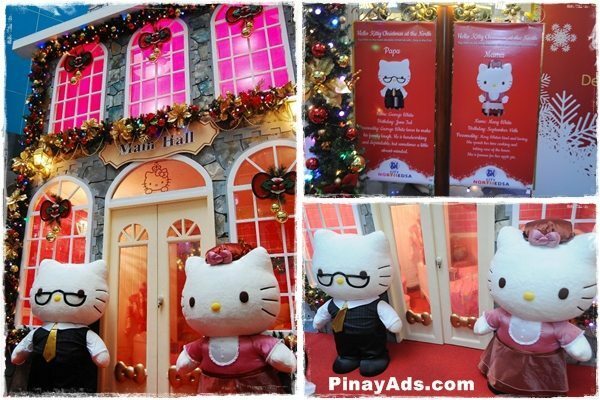 Plus, get the chance to meet Hello Kitty’s Mama Mary and Papa George. 2. Hello Kitty Cake Shop – Dig in to sumptuous sweets here with your favorite Sanrio characters on top of every cake. 3. 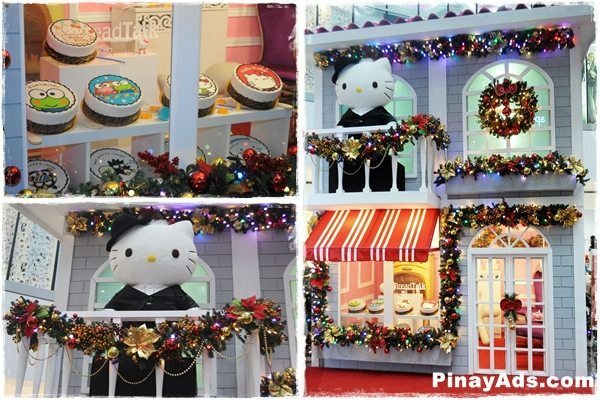 Hello Kitty Activity Hall– Have fun here at the Activity Hall for some exciting activities. You will be welcomed by Grandpa Anthony and Grandma Margaret, Kitty’s grandparents. 4. 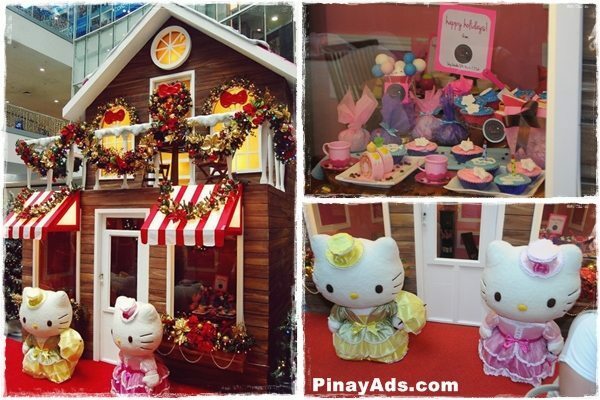 Hello Kitty Café – Pass by the Hello Kitty Coffee Shop and chill out with world’s cutest Kitty. 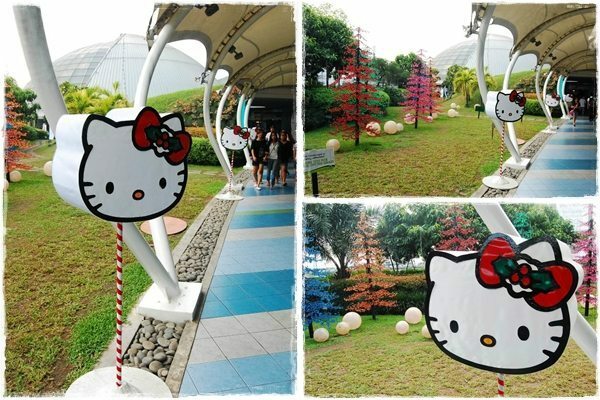 Aside from that, you could also light up the sky with wonderful Hello Kitty lanterns at the Skygarden! 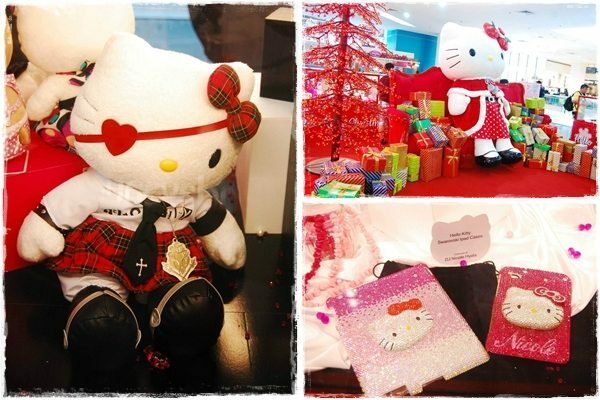 Too bad, we didn’t get the chance to see the “Hello Kitty Luxe Collection“, because it was so crowded. But, definitely, we will go back there to see the collections, since it will be displayed there until January 6. 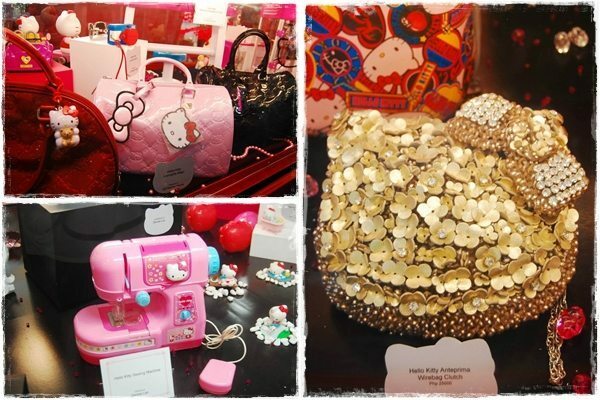 Have a glimpse of splendor at the Hello Kitty Luxe Collection where cool stuff about your favorite cat is on display. These sophisticated collections mix the essence of Hello Kitty with a touch of style and fun, at The Block, third floor. Witness the spectacular giant Christmas Tree by Firefly at the waterfalls area. Santa Meet and Greet at the City Center at the third floor. 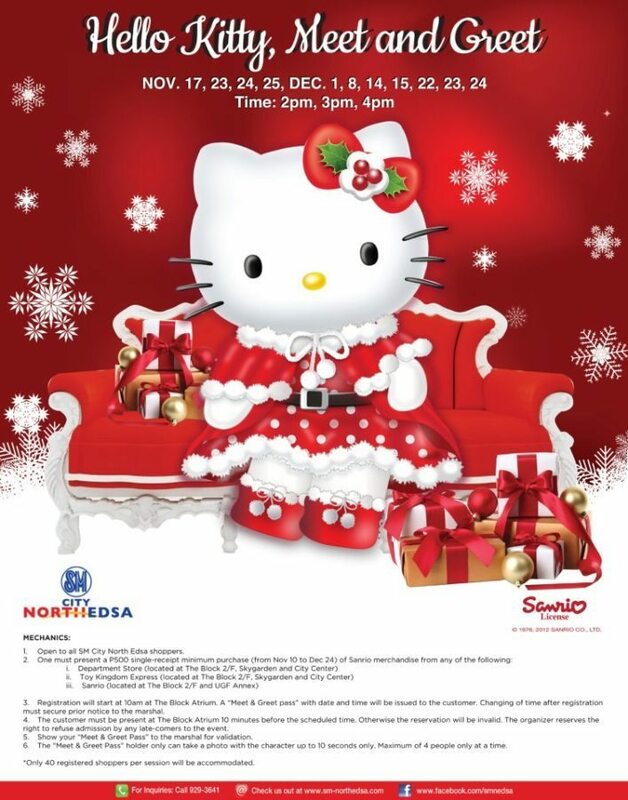 Say hello to a wonderful celebration with Hello Kitty Christmas at the North, only at SM City North EDSA! SM City North EDSA would like to thank our partners: Sanrio and Gifgate. Special thanks to: HP, Samsung, Firefly, Uniqlo, Toy Kingdom, SM Department Store, The Philippine School of Interior Design, Color & Life, Eglo, Linden Teak, Market Square, Space & Style, Urban Concepts, Breadtalk, Jamba Juice, Papa John’s Pizza, and Tender Bob’s, Forever 21, National Bookstore, Pink Parlor, Van’s, Shell Canvas, Cakes R Us, MSI Notebook. I’d like to take my entire family to this Hello Kitty Village. It’s another great place to visit this Christmas. So cute! Hindi pa kami naka-visit dito. Will definitely bring Una here, she’ll go crazy!